Let this local artist teach you a thing or two about classy, affordable style! Vintage is a style we all admire, and there's a common misconception that only a few of us can pull it off. You think: Kailangan may oras kang pumunta sa ukay-ukay, or if you’re lucky, you have money to spare to shop for pieces in specialty stores. Ultimately, vintage styling boils down to resourcefulness and creativity. 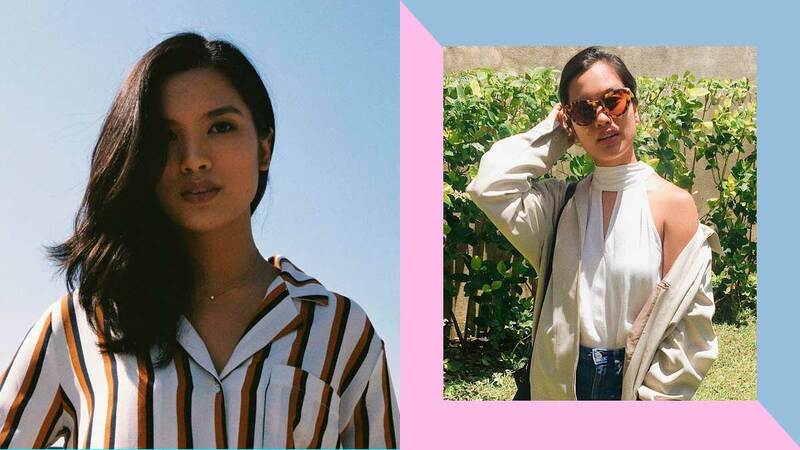 Niki Colet is an independent singer-songwriter whose style is shaped by hours of watching old Hollywood movies, going through fashion magazines, and rummaging through her mom’s and lola’s closets. We sat down with singer-songwriter Niki to go through her Instagram and break down her vintage styling secrets. Cosmopolitan: Can you tell us about this particular look that you posted on Instagram? Niki: I love this one! This is a pajama-style top from Forever 21. I wore high-waisted blue jeans that were kinda capri style. [I also wore] red heeled-slides from SM. This was for a shoot with my friend from New York. I picked them out because I love clothes that look comfortable. I love the whole pajama top look, I still do, because it’s kinda cheeky. Cosmopolitan: How about this outfit? Niki: That was on my 23rd birthday! I was wearing a striped wrap top that my sister bought for herself but gave me on my birthday. I like V-necks because they’re very flattering for my frame. I have a small frame and I’m a little pear-shaped. I’m smaller in the top, bigger in the bottom. I feel like it accentuates my shape in a flattering way. I like wrap tops, they emphasize your curves I think. I just wore high-waisted because I don’t wear jeans that aren’t high-waisted. Cosmopolitan: Tell us more about these statement pants. Niki: These pants are the one item in my closet that I get complimented on the most. And they’re hand-me-downs. They’re from a tita. I don’t even know how old these pants are! I love the material because it’s very thin and stretchy, almost like yoga pants. The cut is really flowy and it’s not bell-bottom either. They’re very flattering even though they’re loose pants. They’re my favorite party pants. The top is my sister’s halter crop top. Cosmopolitan: What advice can you give to girls who want to get into vintage styling but don't want to break bank? Niki: Ultimately, what it boils down to is valuing yourself, knowing you are worth it. That’s what style is all about. It’s taking care of yourself in the best way and in a way that feels comfortable to you and appealing to your taste. When you are on a tight budget and you want to stay stylish, one thing you could do is look at the trends and see what you can emulate. With something like a crop top trend, maybe you like the emphasis on the waist or elongating the lower body. You could not look at the trends at all and make sure you use your budget for your clothes wisely. They could be classic pieces or pieces you really love. A bunch of people sometimes fall in between. Don’t be afraid to like what you like and not like what you don’t like. Stick to your guns. Wear clothes that you really like. Listen to Niki Colet's music on Soundcloud and Spotify.